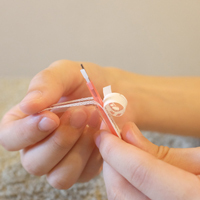 KAPOS specializes in acupuncture treatment. We do not use any other means of treatment such as moxibustion, massage, shiatsu, and any treatment machines. We put all effort into acupuncture skills.If you are looking for acupuncture specialist, KAPOS will be the best match for you. Kappo is “the method of extracting one’s potential.” Its roots go back to the Warring States Period in 1500CE. Kappo (the art of reviving techniques) was born in order to save comrades behind the scenes of Sappou (literally means the art of killing techniques). That is to say Kappo and Sappo are two sides of the same coin.Some techniques of Sappo are handed down as forms of martial arts in Judo and Jujitsu, while Kappo was lost in history as it was handed down orally or handed down from father to only one of his sons as a secret art. KAPOS has digged up this hidden art, merged with acupuncture, and revived it in the modern world. KAPOS has established its original “Kappo Acupuncture” by structuring a theory which put emphasis on “movement” while understanding the value of traditional acupuncture theory. 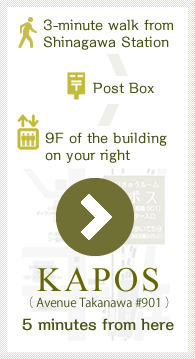 “Kappo Acupuncture” is not only traditional but at the same time innovative. 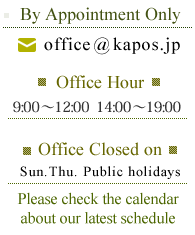 UpdateWe’ve updated the staff self-introduction. We opened the English version website. Copyright (C) 2015 - 2019 acupuncture.kapos.jp All Rights Reserved.